It is likely that one of the first schools established in Amlwch was that following an act of parliament in 1649. An earlier Bishop of Bangor Lewis John, is recorded as being educated at Amlwch and then St John’s Cantab in 1650. Under the act free education was given in Latin, Greek and the Bible to both boys and girls. In 1689 Eleanor Kynnier of London left an endowment of £311 to establish a church school in Amlwch. This is one of the earliest references to a school in Amlwch. However being a charity school had it’s problems. In 1704 the headmaster was a Mr John Owen who received £7/12/6 ( £7.62 ) a year. But no record of the school exists between 1706 and 1723.
in the mid 1700 many circulating schools operated in the area with a short series of classes being held normally in churches for both children and adults. The main reason for the schools were to improve reading and knowledge of the bible. However many of these schools had finished by 1770. Robin Ddu of Anglesey (1744-85) maintained a school in the town some time before 1763 and Gruffudd Jones last circulation school was held in 1777. In the following years it was mainly the Methodist and Baptists non conformists who ran chapel schools. This was especially true in Amlwch were the miners were turning there backs on schools run by the established church preferring instead to attend chapel schools. The Rev Richard Owen made an attempt to start a school in the 1770s. Which meet either in the church or local houses mainly to learn to read the bible. It is know that a Sunday School was held in Capel Mawr from 1796. With over 300 members attending up to 60 classes. By 1828 over 11,000 people were attending Sunday Schools on Anglesey. It was partially in response to the rise of non conformists’ that the Anglican church established the ” National School” system. This was based on a monitor system so that older children taught younger children which allowed a master to be in charge of a much larger class. With strict discipline mainly reading writing and arithmetic were taught. The aim of the organisation was to establish a National School in each parish. A meeting in Amlwch was first held in October 1816 and it was agreed that the Eleanor Kynnier endowment funds would be used to help establish a National school. However location and funding problems persisted. The Amlwch National School finally opened on 19th November 1821 on land donated by the Marquis of Anglesey. The Parys and Mona Mine company had each provided a donation of £100 and had promised an annual subscription of £25. However the cost of the school was £1015. The first Master was Thomas Jones however within a few months he was writing to the Marquis of Anglesey to say that his salary had not been paid as the institution was in debt. He proposed that each of his 180 (male) pupils be asked to contribute 1d per week towards his salary and school running costs. 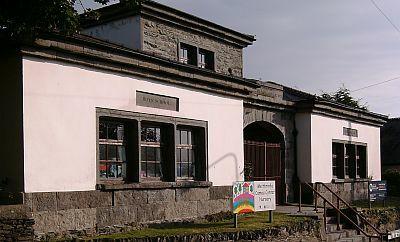 In June 1822 the managers appealed to the National Society for additional funds for the school based on the fact that the majority of parents were miners employed at the mines. This bid was partially successful but the school always suffered from underfunding. The National Girls School at Amlwch, Anglesey had a variety of teachers over the period 1863-1887. Staff included qualified and pupil teachers. It was under the headship of Mrs Jane Roberts from 1863-1867 and again from September 1872 to end of October 1873, when she retired apparently because of her husband’s death. Her departure resulted in a series of changes in teaching personnel. Over the years the school experienced the movement of pupils to the local British school, some of which returned and were accepted back into the school on payment of a fine. 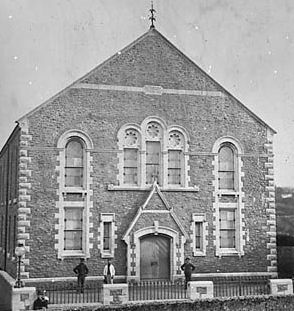 William Roberts the superintendent of Chapel Mawr had been campaign to establish a British School in Amlwch since 1850. This was a time when work at the mine was scares and James Treweek the mine manager was of the opinion that a school where the English language might be taught without reference to any religious creed would allow many more Chapel going to participate. In the most part British Schools were financially supported by local traders rather than by the landed Gentry. 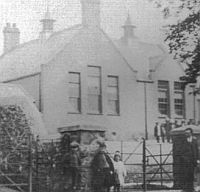 The school was built close to Lon Tan y fynwent but was badly damaged before it was completed in the “Royal Charter” storm on 1859. It was finally opened on 26th March 1860 at a cost of £2500. However, both the National and British school in Amlwch suffered from absenteeism. On occasion this was due to the non-conformist Sunday schools or other agricultural needs such as harvest or hiring fairs. There was great rivalry between the two schools and often pupils expelled from one would be allowed into the other. However, on occasions an admission fee would be asked for. A ragged school was founded in 1877 run by a Mr and Mrs Morgan. This school was set up without the normal fee of 1d so that even the very poor would be able to get at least some type of education. In 1870 a new Act of Parliament was passed to establish “Board schools”. The idea was to establish an efficient school in each locality and ensure that elementary education was brought within easy reach of every home. These schools although still fee based were to be run from local and national government grants rather than by the Voluntary nature of the British and National schools. 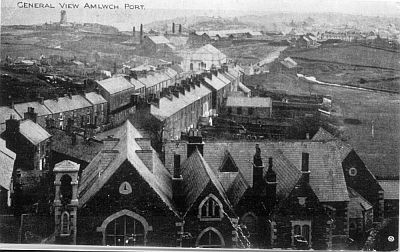 A school board school was opened in Amlwch on 24/7/1882. The language of education remained English until 1893 when “Welsh” could be taught as a lesson to the whole class. From April 1900 higher elementary schools were recognised, providing education from the age of 10 to 15. The next step forward was in 1902 when the management of schools was moved from local boards to the County Councils. As part of this re-organisation a “County School” was established in Amlwch. The Butler Education Act of 1944 established the Tripartite System, and defined the modern split between Primary and Secondary education at age 11. This defined the grammar school as the place of education for the academically gifted (with entrance determined by a selection exam; initially this was the “Scholarship” exam, which was later replaced by a “Grading Test” which was then subsequently replaced by the 11+ exam). Children who did not pass the selection test attended technical schools or secondary modern schools. 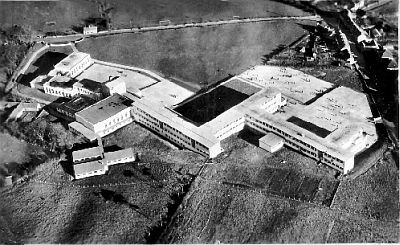 It was during this period that the Secondary school was built in Amlwch. The School was named after Sir Thomas Jones (1870-1945) who was an Amlwch doctor and Chairman of the County Council who was knighted for his work in the community. In the 1930s he campaigned for a Grammar school in the Amlwch area. In Sept 1950 the first classes were transferred from the Memorial hall to the school by 1953 all the primary schools in the area were sending pupils to the school. The school was initially designed to accommodate 700 pupils. However further blocks were added and by 1977 1265 pupils were on the register. William Francis was an Amlwch master mariner of great experience. In 1813 he was at Liverpool loading a general cargo for Gibraltar in a vessel called “Dublin” of Amlwch. He was both master and part owner of the vessel. The journey to Gibraltar was a hazardous one with risk of capture by pirates so at the request of his wife, Francis decided to resign as the ships master. He returned to Amlwch and set up a school in February of 1814. His school not only offered the normal instruction in ” spelling ,reading and writing English” but also mensurations universally, land surveying, geography and astronomy, the use of maps and charts, terrestrial and celestial globes” At a higher fee of of 1/5/- per quarter students were also taught. ” the elements of geometry, plain and spherical, trigonometry, algebra and theoretical navigation”. An extra £2 per quarter was needed for “practical navigation with the use and construction of sea charts etc”. And for the highest fee of £3 per quarter ” theoretical and practical navigation, use of globes, quadrants and sextants. The school was open not only to children but also adults of both sexes and if necessary Board and lodge was also available. His school was an immediate success and by 1821 he was looking for larger premises. He initially attempted to obtain a lease on the old assay house near to Parys lodge. It was not until april 1824 with the help of Colonel Hughes of Llys Dulas that “Mount pleasant school, Contagious to Parys lodge garden” was adopted as the new school. Francis considered this an ideal location because of the view of the sea and the horizon which was essential for his practical teaching. Some of the exercises that William Francis developed and used have still survived and show that he expected a high standard of understanding and workman ship from his pupils. In 1982 the Caernarfon Civic Society furnished on street frontages a series of circular slate plaques as memorials to persons and institutions that have enriched the history of the town.One of those honoured was MRS ELLEN EDWARDS, (Seiont II), The daughter of Captain William Francis of Amlwch who himself ran a navigation school on Anglesey. Since it seems that he had no sons, he passed on his craft to his daughter who set up her own navigation school in Caernarfon where she trained mariners from the town and its environs for up to sixty years. She was helped in later years by her daughter. The infamous Blue Books (1847) were typically scathing of her achievements, but her own pupils claimed hers was the best navigation school in the world. The story of one of her pupils, Captain Robert Thomas, can be read in ‘SHIP MASTERS’ by Aled Eames. Amlwch port also had the following private schools.